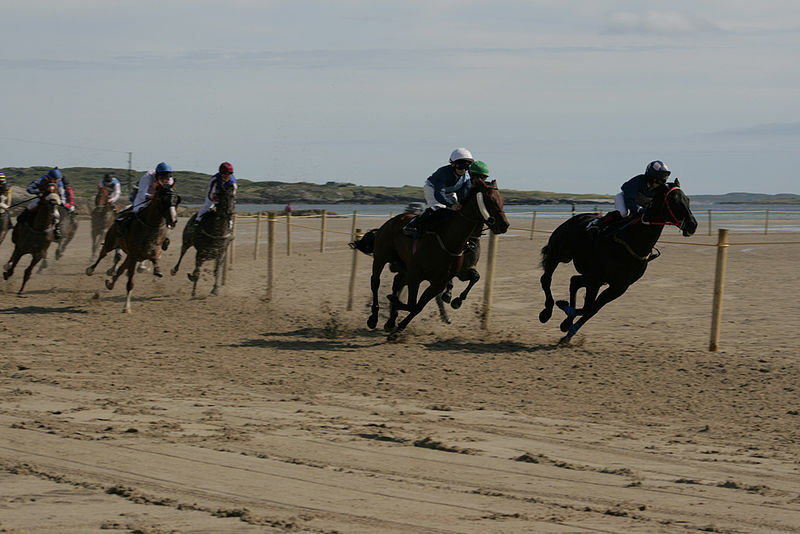 Often referred to as ‘The other Galway Races’, the Omey Races take place annually on the strand at Omey Strand, Claddaghduff. Omey is a tidal island located near Claddaghduff, a few miles from Clifden, in the western edge of Connemara. There is a route across the sand to the island and, at high tide, the water is deep enough to cover a car. To help in the last moments before the water becomes too deep, there are conventional street signs to indicate the highest route. 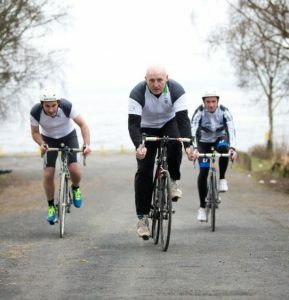 Re-established as a tradition in 2001, the annual summer races have been steadily attracting greater numbers every year and last year drew a crowd of almost 5000 people for a wonderful day of sun, sand, sea and of course, horse racing. rst race will be offat 1pm sharp, so don’t miss out. 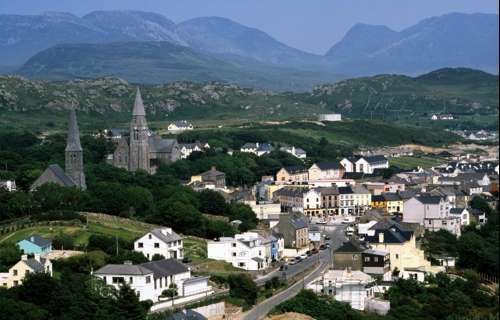 Sunny days we’re having- let’s hope it’s going to stay like this until the end of the week for it could be the perfect opportunity to head off to the “capital of Connemara”, Clifden. We promise you won’t be bored if you decide to warm up with the best of the Irish traditional scene, we mean music, singers and dancers, including music sessions in pubs, opening concert, Teada on outdoor stage, music workshops and masterclasses, sean nós singing and dance, also talks and lectures and youth sessions…all this just as a start! Here are some examples of what you’ll find during four days in different venues. 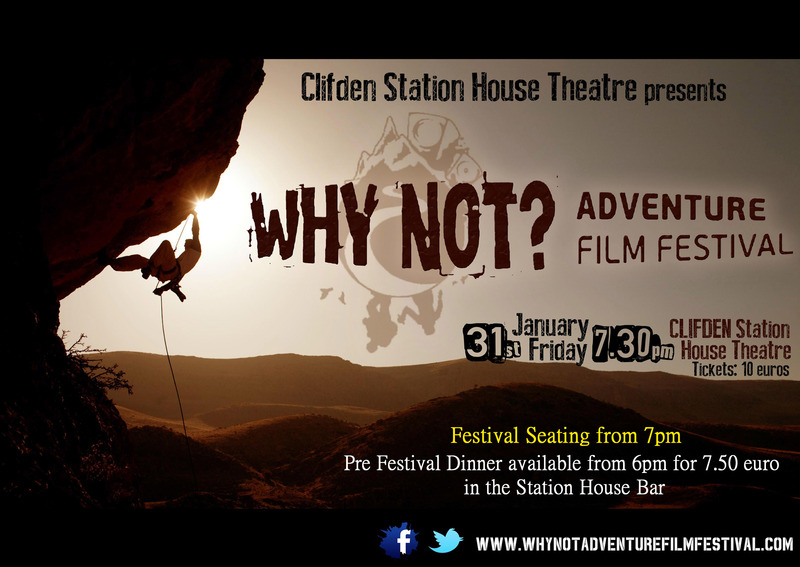 The 4th year of the Clifden Traditional Festival kicks off on Thursday with a Gathering Event, in which people that have been playing trad music while living abroad will explain their experiences. This will be followed by a music session. On Friday an Official Opening and Free Concert will take place performed by Leo Hallissey, followed by a concert with a host of visiting musicians for the weekend. Also pub music sessions and a host of Sean nós and Irish dancers. Saturday opens with workshops and a music session of all the participants of the workshops and other young players, singers and dancers. There’ll be a Traditional Street Market and a Sean nós Dance worshop, as well as music sessions in different pubs. Also Téada and Seamus Begley on stage, a show of music, song and dance. The last day of the festival says goodbye with a Traditional Music Mass, following by Farewell “One for the Road” Session. All musicians, singers, and dancers that have performed all weekend, to bring the 4th Annual Clifden Trad Fest to a close. Events Free, except where noted. An extraordinary nice sample of traditional Irish Music throughout four days…don’t say we didn’t tell you!